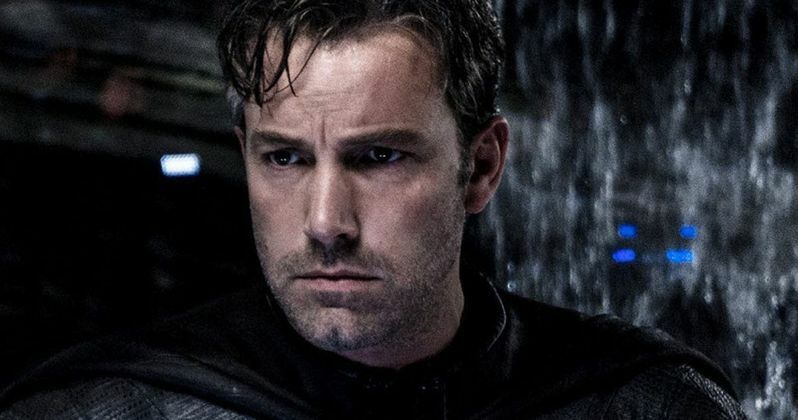 In the DC Movie Universe, it might just be Batman star Ben Affleck who brings balance to the force. At least, that's what Warner Bros. is banking on as they recently announced the man will be co-writing, directing and acting in an as yet untitled Batman solo movie that was not originally announced as part of the DCEU. Now, the studio is taking it a step further, officially making Affleck an executive producer on the now in-production DC adventure Justice League. Ben Affleck is the main lead in Justice League, reprising his role as billionaire Bruce Wayne, who sets out to bring a number of Meta-Humans together to form this team of superheroes. In Affleck's new role as an executive producer, he will be working closely with director Zack Synder and screenwriter Chris Terrio. The hope is that he can steer this massive ship in the right direction, helping the creatives behind this next chapter in the DCEU find the right footing. Many praised Ben Affleck's Batman as the best thing about Dawn of Justice. While the movie wasn't a bomb, it did not perform as well at the box office as some at the studio had hoped. And there seems to be a quiet changing of the guard as production shifts ever so slightly. Ben Affleck is also known for giving Warner Bros. some critically acclaimed movies outside the superhero genre, which makes him one of the strongest storytellers currently occupying their lot. He's proven his writing and directing abilities on such hit films as Gone Baby Gone, The Town and Argo. Argo is especially notable as it won a Best Picture Oscar for the studio. That movie was written by Justice League scribe Terrio, and Warner Bros. believes that the pair have a great understanding of each other's process. It should be noted that Ben Affleck has taken this new position of executive producer to show his support for director Zack Sndyer. At least according to Deadline. The filmmaker has come under fire for his treatment of these iconic superheroes. Some claim he doesn't understand Superman at all, and hates this world as presented in the original comic books. The director even went as far as to have beloved comic book character Jimmy Olsen killed off in the early moments of Dawn of Justice, which rankled some fans quite a bit. Still, Affleck is reportedly standing by his man. As the DCEU moves forward, Warner Bros. hopes that Ben Affleck can help shape the universe and what it will become. At this time, the solo Batman movie does not have a release date, but many speculate that it will fall into the October 5, 2018 slot that Warner Bros. recently reserved. Justice League is currently shooting in London and will be in theaters November 2017.